Cars Children Multi-Bin Toy Organizer Just $26.24! PLUS FREE Shipping! You are here: Home / Great Deals / Amazon Deals / Cars Children Multi-Bin Toy Organizer Just $26.24! PLUS FREE Shipping! Head over to Amazon where you can score this Cars Children Multi-Bin Toy Organizer for just $26.24 PLUS FREE shipping! Ingenious toy storage with a Cars movie theme! 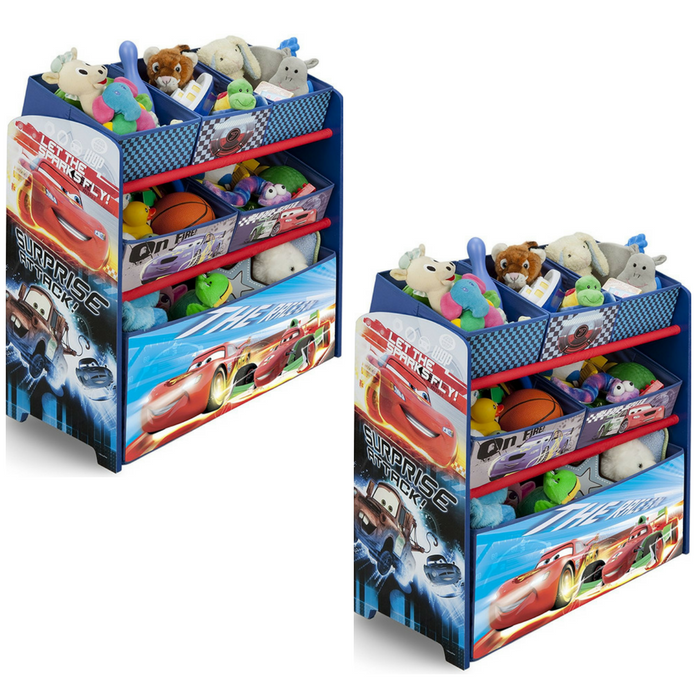 This Disney/Pixar Cars Multi-Bin Toy Organizer by Delta Children features toy bins in different sizes, which means there’s a place for every toy and every toy can easily be put in place after play. The entire design of this storage unit is child-friendly, with soft, lightweight fabric bins that children will find easier to hold and move.